Weekly Giveaway: Win one of three Crucial m4 256GB SSDs - who doesn't want 500MB/s? Thread: Weekly Giveaway: Win one of three Crucial m4 256GB SSDs - who doesn't want 500MB/s? 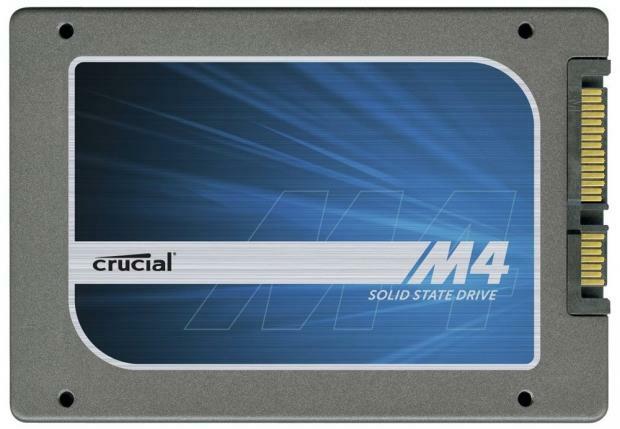 This week we have teamed up with Crucial who is giving away not one, not two, but three of its m4 256GB solid state drives. These drives have a Sustained Sequential Read of up to 500MB/s, who doesn't want to get it on this speedy drive? And it does 4KB Random Writes of up to 50,000 IOPS. We've tripled up your chances of winning - this week will see us have three lucky winners who take home one of these speedy SSDs. - Giveaway runs from today until September 21st, 2012 at 10:00pm GMT +8:00 - no entries will be taken into consideration after that time. Last edited by Mr.Tweak; 09-15-2012 at 01:37 AM. Re: Weekly Giveaway: Win one of three Crucial m4 256GB SSDs - who doesn't want 500MB/s? Entered. Hope I win one. I'm in, I could sure use one of these!! !